My name is J Jacob Wikner and I am currently working as an associate professor (“biträdande professor”) in the Integrated Circuits and Systems group at the Department of Electrical Engineering, Linköping University. (Once upon a time I needed the extra “J” in front of Jacob, since at Ericsson – where I once worked – there were other Jacob Wikner’s). This blog is mainly created to spread information to students attending courses at the University, to students doing their final-year project at the department, and Ph.D. students at the department, and alumni. But it is also a good place to put general thoughts and comments to the masses regarding my research, etc. My public calendar is available here but does not disclose all bookings in case you need to knock on my door. 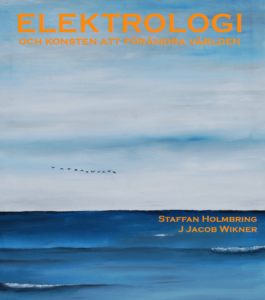 Dr. J Jacob Wikner is a Reader (“Docent”) in electronics systems at Linköping University (LiU). He received his M.Sc. in computer science and engineering from LiU, Sweden, in 1996. He earned his Ph.D. in 2001 on the topic ”Studies on CMOS Digital-to-Analog Converters” from the electronics systems group, at the Department of Electrical Engineering (ISY) at LiU. During 2001, he spent time as a visiting post-doc at the Imperial College, London, UK. Between 1999 and 2002 Wikner worked as a research engineer at the microelectronics research center (MERC) at Ericsson Microelectronics. Between 2003 and 2005 he was with Infineon Technologies as a senior analog design engineer. In 2005 Wikner joined Sicon Semiconductor in Linköping, Sweden, as a senior design engineer and chip architect. His field of work has spanned over image sensors, transceivers for wired and wireless standards, video digitizers and x-ray image sensors. Since August 2009, he is with the integrated circuits and systems group (ICS) at Linköping University as an associate professor (Bitr. Prof.). His research include biologically inspired architectures (BIAs), high-speed A/D and D/A converters, and general analog and mixed-signal design topics. The research projects range from low-voltage and low-power analog interfaces to environment measurements through in-vivo blood-flow measurements and body-coupled communication in the http://BioComLab.se project. He has supervised ten Ph.D. students, > 100 master student’s projects, and is responsible for and lecturer in several courses in mixed-signal integrated circuit design as well as basic electronic and electrical circuits courses. 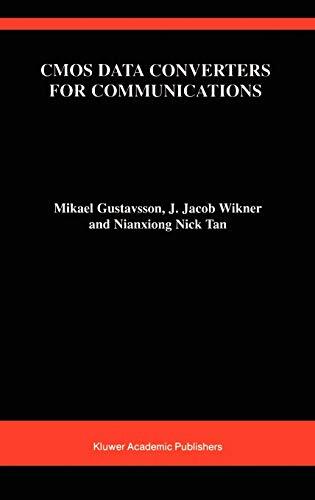 Wikner holds eight patents, has published some 70 journal and conference papers, and co-authored the book CMOS Data Converters for Telecommunication. He is a co-founder of one research-based company, CogniCatus AB, and a design-services company, AnaCatum Design AB (now acquired by Fingerprint Cards AB), both in Linköping. DISCLAIMER: The contents under these pages are not officially supported by the Linköping University. I do not claim that I will be adding comments that are radical and/or contradictive to the official policy of the University, I just want to highlight the fact that the University cannot be held responsible for the contents of these pages.